Christmas is the most wonderful time of the year in Chorley with so much to check out that you’ll never want the celebrations and Christmas cheer to end. There’s everything from festive market stalls to traditional lights switch on events to street entertainment, lots of independent shops for unique Christmas presents, cheeky elves, Christmas crafts and not forgetting numerous opportunities to meet the main man – Father Christmas! Get your skates on this Christmas and glide, pirouette and whirl across Chorley’s real ice rink and then enjoy some festive drinks in Betty’s Tipi when they return as part of Chorley’s fantastically festive winter wonderland on Cleveland Street car park. Chorley’s Winter Wonderland will be open every day from Saturday 8 December until Sunday 6 January 2019, except Christmas Day. Betty’s Tipis will be open later on some evenings.The ice rink is just £6 per skate session with payment on entry. Ice skates and other equipment provided. Time credits will be accepted on the ice rink only for the first hour and last two hours of each day. One time credit per person, per skate session. Cub Club, which are skate sessions for children aged 5 and under will run from 10am – 11am on Sundays. Cub Club is £3 per skater and all child skaters must be accompanied by an adult. Please note there is limited availability on each Cub Club session. Don’t forget to write your list and letter to Santa and post it in his very special post box located in the centre of Market Walk from Saturday 17 November. Plus listen out for a special message from him as you post it! Santa Claus is coming to town! This Christmas Market Walk will have a very special visitor every Saturday from Saturday 1 December until Saturday 22 December when Father Christmas opens up his grotto right in the shopping centre. Visit him between 10am and 1pm or 1.30pm and 4pm in his wintery Market Walk grotto with every child receiving a small gift from Father Christmas and Market Walk shopping centre. 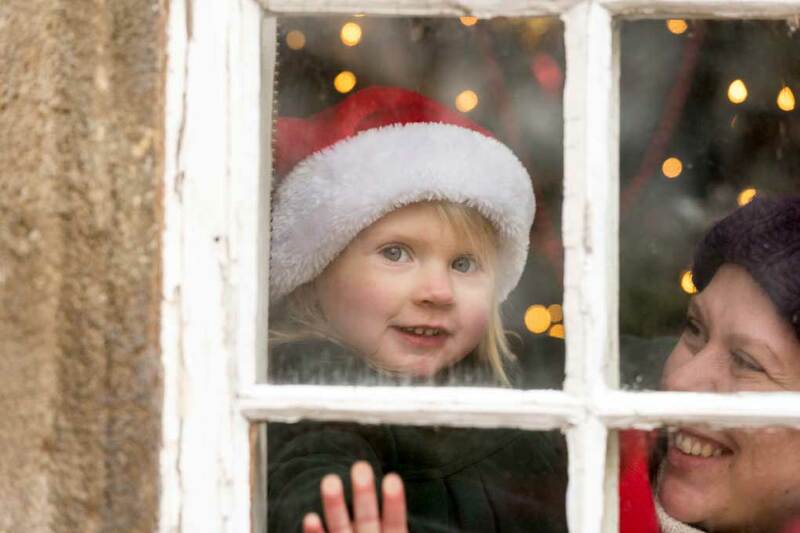 Father Christmas’ grotto will be located opposite the Covered Market, next to H Samuel and entry is FREE. Plus we’ll also have free arts and crafts with the ArtVenturers every Saturday in December and don’t forget, you can also post your Christmas list and letter to Father Christmas in his dedicated post box in the centre of Market Walk. Happy Christmas from everyone at Market Walk, Chorley. 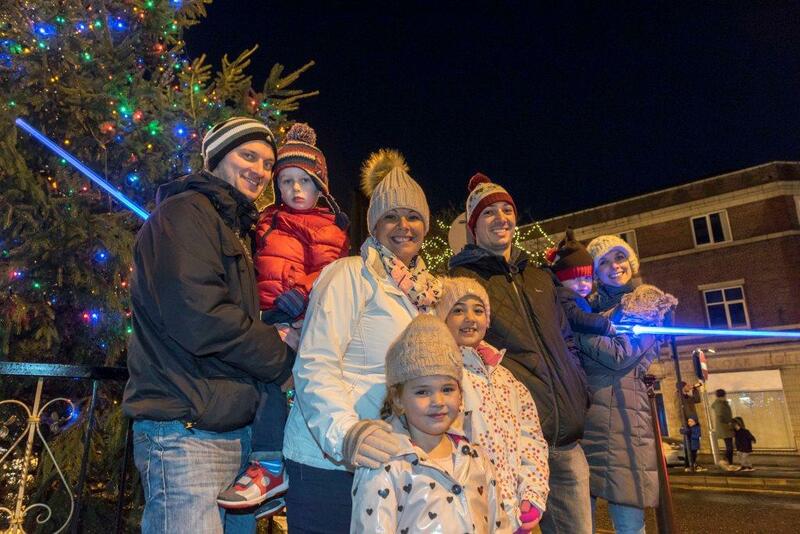 The Christmas magic started in Chorley town centre on Saturday 17 November with the luminous local tradition that is Chorley’s Christmas lights switch on. 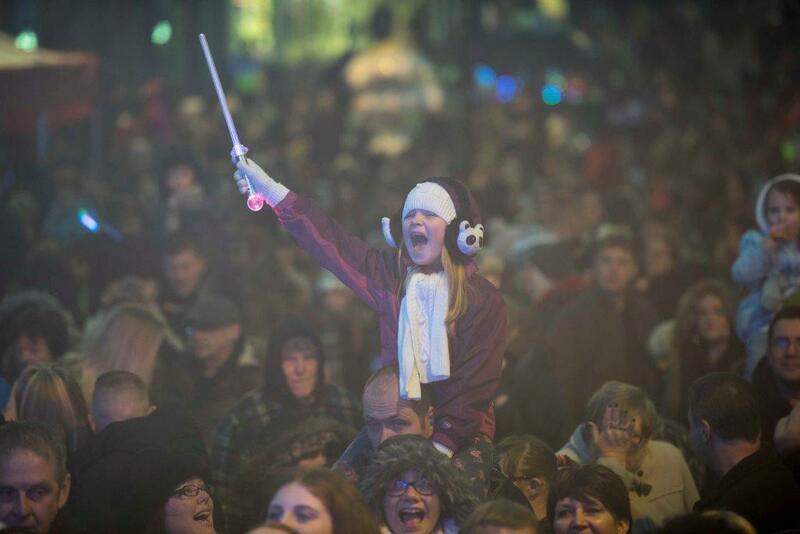 The town centre was brought alive with the greatest Christmas lights switch on show that saw local acts and show performers singing everyone’s favourite songs from the movies and musicals, including songs from The Greatest Showman. The event got Chorley’s Christmas celebrations well and truly underway and transformed Chorley town centre in twinkly winter wonderland with delightful displays now lining the streets for everyone to see. A record crowd attended the event, which also saw comedian Zoe Lyons joining local firefighting heroes to do the honours and hit the switch. Lots of people went Totally Locally Chorley this Christmas at the special Christmas market on Chapel Street on Sunday 25 November. Local producers and businesses took over Chorley town centre selling specialist Christmas gifts, food and drink plus there was music and entertainment for all the family to enjoy with special appearances from the Chorley Elf and a Minion Santa. The event was a huge success and looks set to return next year. For one night only in November, Astley Hall came alive with light, performance and mystery as the jewel in Chorley’s crown was transformed. This amazing free event has to be seen as the historic Astley Hall is beautifully lit with magnificent light displays and candles once a year. Thousands came along to see 400 years of history in a different light. From the Tudors to the Stuarts; the Victorians to Edwardians visitors met characters from the past as we illuminated Astley Hall and the Walled Garden for this special annual event. Chorley’s Santa Express is back to whisk families on a magical journey from Chorley town centre through Astley Park to meet Father Christmas in the wonderful setting of Astley Hall. Chorley’s Santa Express will be running between Chorley town centre and Astley Hall every 20 minutes between 9.30am and 3.30pm every Saturday and Sunday in December from Saturday 1 December until Sunday 23 December. 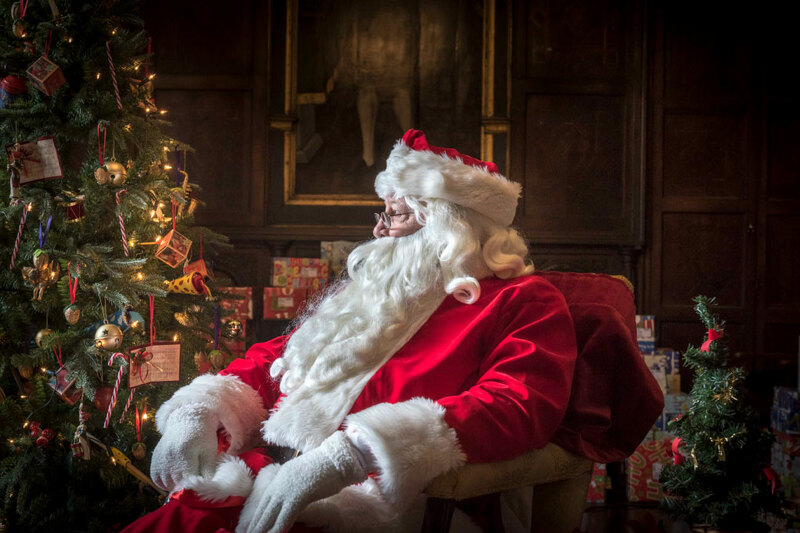 The Santa Express will take families to meet Father Christmas as he takes up residence in Astley Hall’s Inlaid Room in the run up to Christmas. Every child who meets Father Christmas will receive a special Christmas gift and there will be some festive face painting and arts and crafts in Astley Coach House too. Tickets to take a ride on Chorley’s Santa Express to meet Father Christmas at Astley Hall must be purchased in advance but are now SOLD OUT.